Well, we’re all still here. 2013 has arrived without any asteroids, pole shifts, or extraterrestrial life and now some of the population has more water and freeze dried food than they know what to do with. It’s a new year filled with new opportunity and as status quo, new angles ripe for the picking in the marketing business. One in particular should be considered as the #1 overall pick in the 2013 Marketing Draft. With little competition in an area of exponential growth and the potential to dominate the e-commerce market, there should be no hesitation in shifting time and effort into restructuring your approach to capitalize. Déjà vu yet? I can’t blame you. That sounded like the opening statement to many of the “importance of the smartphone” arguments. While in the same vein, the smartphone has finally established itself as a crucial business marketing element. What I am referring to has been cleverly coined “The Year of the Tablet”. Although on the surface these two devices seem to serve the same purpose, when digging deeper the data lends itself to a different end game. Without getting all ‘Good Will Hunting’ with the numbers, there are a few simple data sets that need to be considered. First and foremost, PC sales are steadily declining and only projected to get worse down the road1. Consumers are becoming increasingly reliant on quick, portable information, and tablets have staked claim to the middle ground between the phone and the desktop. They are no longer considered strictly niche devices, and coupled with the explosion of smartphone use have overtaken many of the tasks that used to be PC specific. According to the numbers, in just three years tablet use has rapidly closed in on PC use, and by the end of the year should exceed it globally1. Consider this: 51% of devices activated of the holidays were tablets, and as of this writing, the estimate is 90 million tablet devices active in the US1. 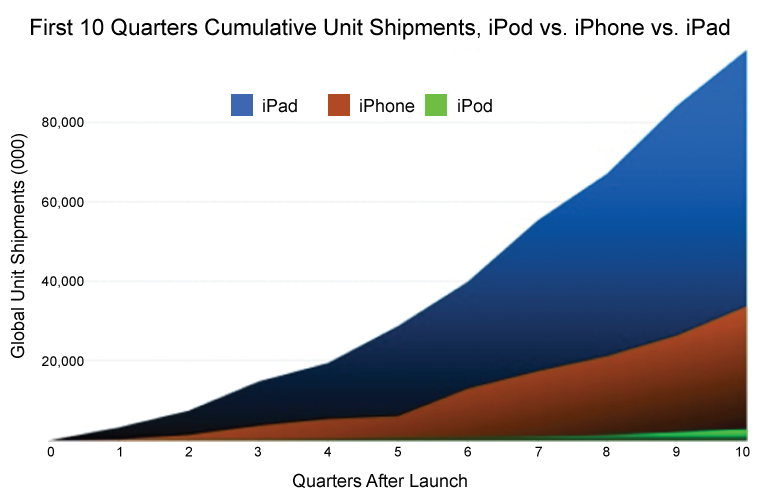 Remember how insanely fast the iPhone took off? Well in comparison Apple is “Jack” and their iPads are magic flippin’ beans! Tablets have been around for a decade, but with superior CTR and tangible ROI rearing their heads what makes them viable only recently? It is because they are no longer business utilities. This has prompted a realization that tablets are, in fact, incredibly convenient. Take for example Apple’s “App Store”. Its popularity sparked a new movement, but BlackBerry has had a store with applications up for sale forever. The difference being consumers never needed slide show and data formulation apps on their phone. With the emergence of navigation, games, video, and generally useful daily task apps the market has become more accessible to the every-day user. So what sets mobile and tablet use apart, and why do resources need to be allocated to tablet marketing? The answer is not as complex as it may seem. Simply: Intent2. There are separate goals for mobile users and tablet users. The Blue Foundation Media Blog offers a few effective marketing differences between mobile and tablet. Tablets should focus on keywords that promote deeper research instead of focusing on clickable business information. Different conversion goals should be addressed, as well: time on page, pages per visit, number of returns2. For smartphones, understanding the size of the real estate and avoiding wasted space is key3. There isn't much space on a smartphone display, so users tend to act on top 2 or 3 listings: bid high. And always remember that smartphones rank based on local intent. Smartphone users are all about action. They tend to be on the go and require immediate, easily deciphered information. 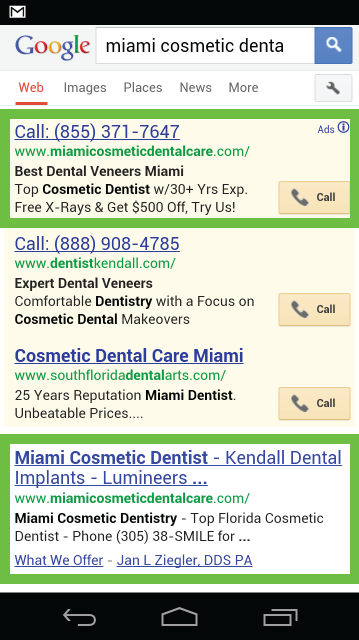 They are not typically browsing for the most reliant info, but instead either know the site they’re looking for, or blindly trust the first 2 or 3 listings; which rank well based on proximity, optimization, and review2. If the information is difficult to navigate, they move on. If there is no clickable business info, they move on. On the other hand, tablet users have been pegged as browsers. They generally have time to research and are looking to be informed2. This critical difference is where businesses have the opportunity to capitalize on a market largely untapped. Understanding that shopping cart values and subsequent conversion rates are recorded at higher levels on tablets1 should provide all the push needed to develop your brand and website for tablet use. Still, only 7% of retailers have tablet friendly sites1.